Canon is a leader in professional business and consumer imaging equipment and information systems. The company's extensive product line and digital solutions enable businesses and consumers worldwide to capture, store, and distribute information. 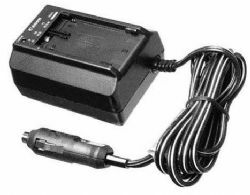 The CB-920 Car Battery Adapter powers the camera or charges the battery by plugging into a car's cigarette lighter socket.